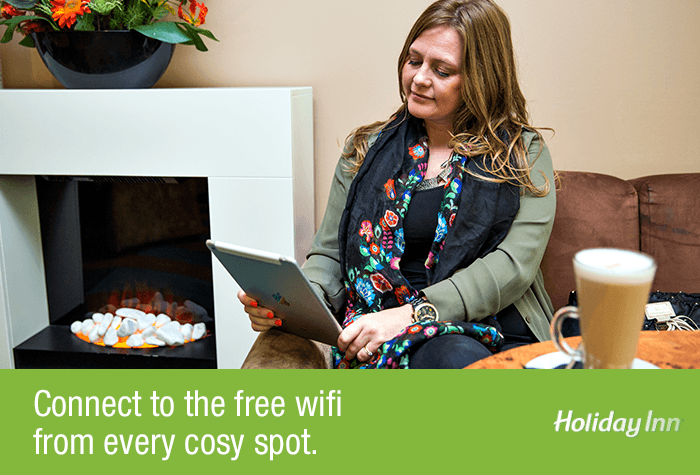 When you have an early flight to catch, you want to make sure you book an airport hotel that doesn't leave you stranded. 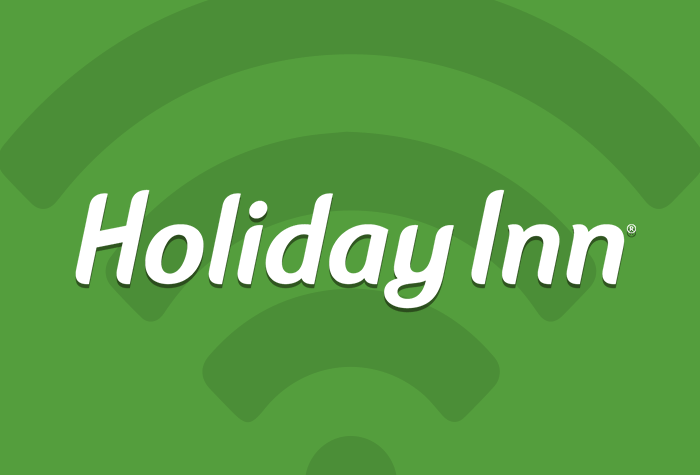 Not only is the Holiday Inn a name you can trust, but being located close to Bristol Airport at Cowslip Green, Bristol it makes it the ideal choice for your overnight stay before your flight. 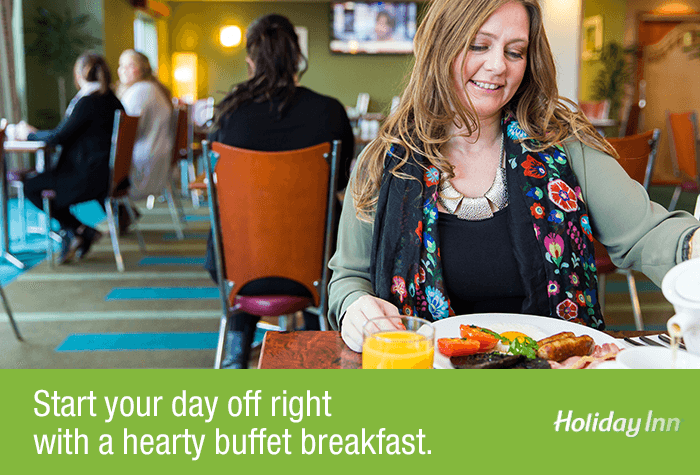 It also offers breakfast from 4am and 24-hour transfers that run by your arrangement with the hotel. As if that wasn't enough, there's secured parking right on site with CCTV and regular staff patrols. 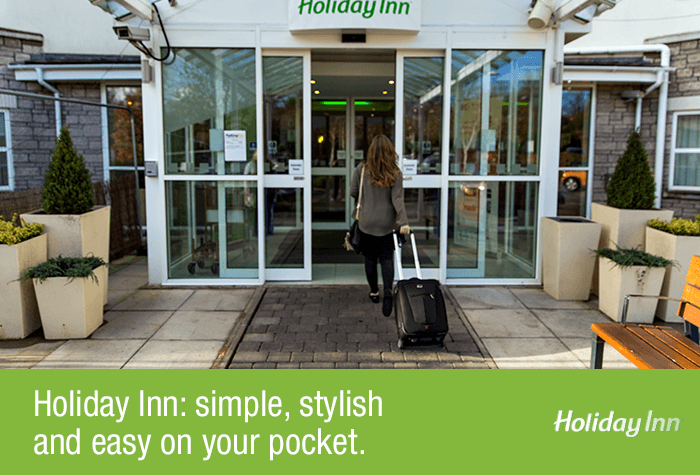 If you are after value-for-money as well as convenience, the Holiday Inn at Bristol Airport, Bristol is the place for you. 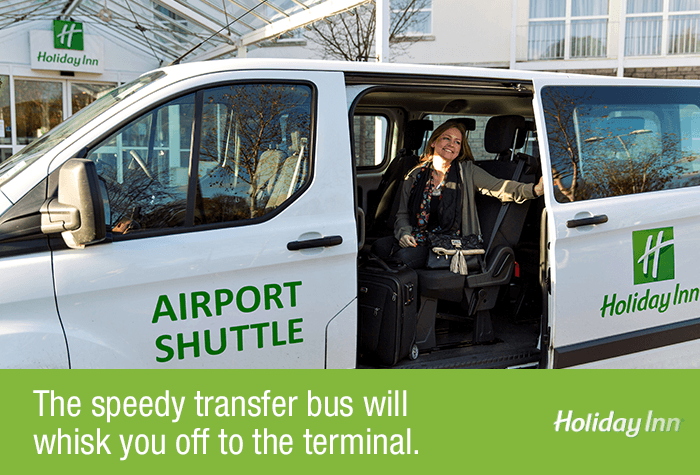 You can book a shuttle bus to the airport with reception. The bus runs whenever it's needed, 24 hours a day. It takes 6 minutes to get to the airport and costs £4 per person. 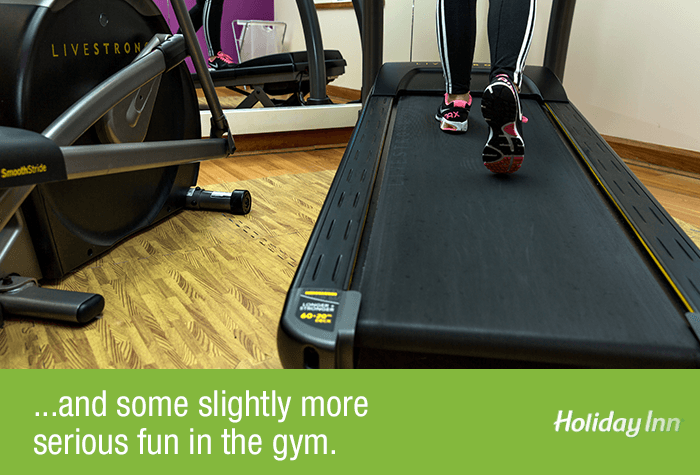 Parking at the hotel costs £5 for the first night, and £10 per night thereafter. Rooms are bright and modern. There are accessible parking spaces near the entrance of the hotel. The hotel also provides ramp access and lifts. Accessible rooms are available, if you would like to book one of these rooms please call us before you book. Spot Kitchen and Bar serves a wide range of international dishes and kids under 12 eat for free. Conditions apply. 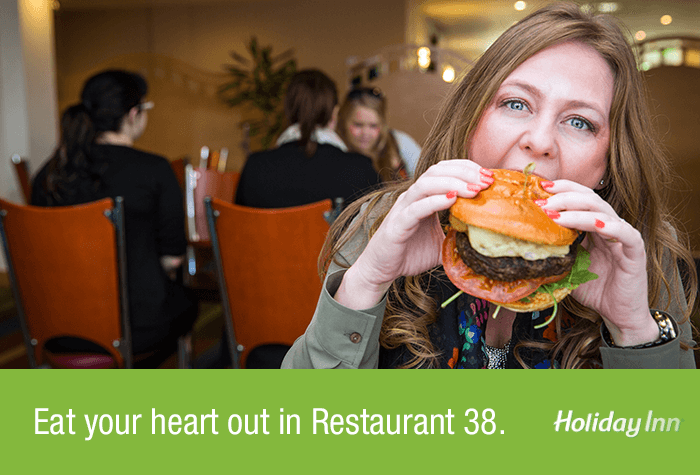 The Bar & Lounge offers a wide variety of hot and cold snacks and meals throughout the day. 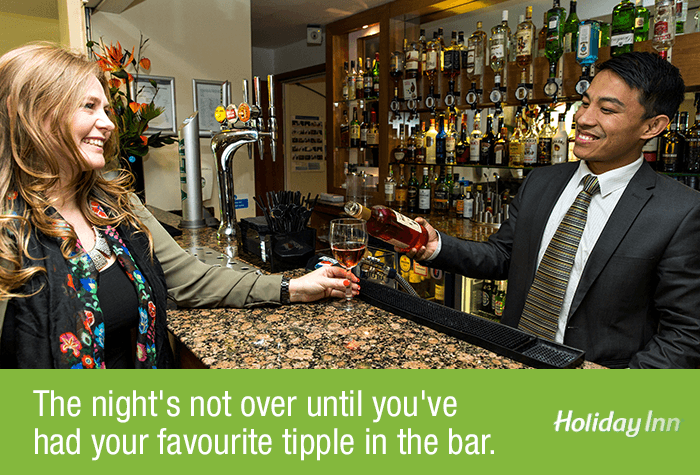 Daily drinks specials are available as well as a choice of teas and coffees. 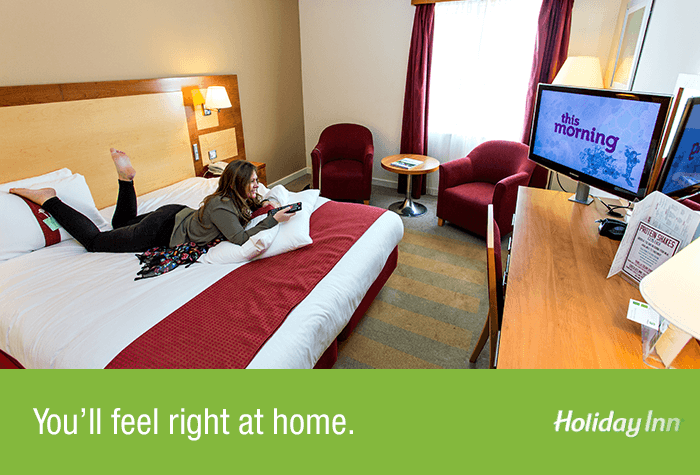 Alternatively you can choose to dine in your room theres 24 hour room service. Breakfast is a hot and cold buffet. 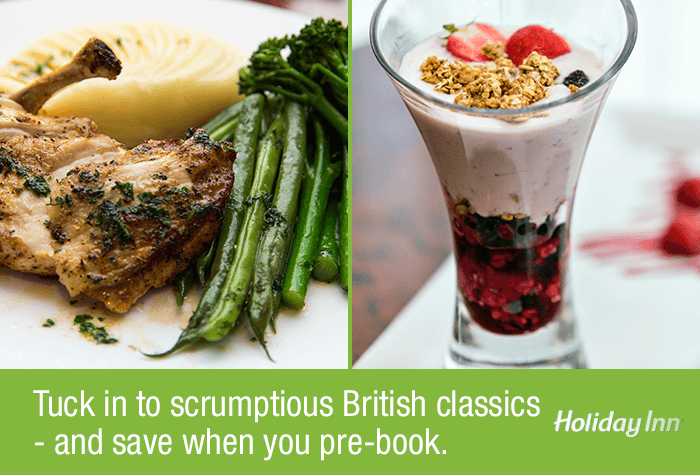 The continental option costs £7.95 per person, and the cooked option is £12.95 each. There is an outdoor heated patio overlooking a childrens play area with a swing and climbing frame. The hotel has a limited number of rooms with double beds, so if you book a room for two people, you may end up with twin beds. Disabled facilities There are accessible parking spaces near the entrance of the hotel. The hotel also provides ramp access and lifts. Accessible rooms are available, if you would like to book one of these rooms please call us before you book.